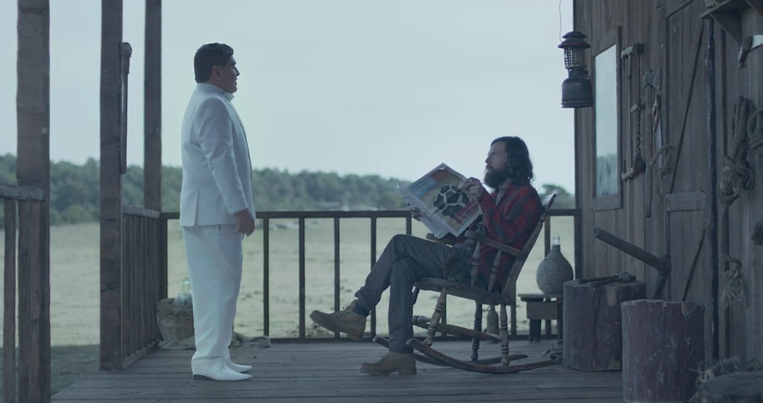 Central Films award-winning director Rodrigo Garcia Saiz bestows godlike powers on legendary footballer Diego Maradona to inspire the creation of an ark-like football stadium in the monumental new spot “Noah” for Tecate, out of Nomades. In the epic 2:00 spot, Maradona approaches a bohemian architect, urging him to build a football field to revive a love of the sport. He gets to work on the immense task, bringing on the aide of friends—who happen to be players of Real Madrid and Juventus—he completes the structure, leading couples of players, referees, radio announcers and fans to enter the stadium. As the crowd and players anxiously await gameplay, Noah steps in as referee and a single drop of rain falls from the sky, sparking the game launch and exploding the arena with energy and passion. Madrona and Noah both join in on the action, culminating with an awe-inducing hands-free move by Madrona for the win, leaving the crowd with a renewed love for the game.